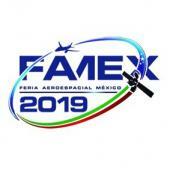 The Mexico Aerospace Fair (FAMEX), Mexico's #1 aerospace industry trade event focusing on all aspects of civil aviation, space and military aeronautics. Colombia’s largest and most diversified aerospace industry gathering, has designated the United States as its “Featured Nation,” ensuring extra attention to U.S. exhibitors (and neighbors to the north!). Of all the reasons to exhibit at the Dubai Airshow there is one word which sums them all up – business. The Middle East is one of the fastest growing aerospace regions in the world and Dubai is its hub. As Asia's largest and one of the most important aerospace and defence events in the world, Singapore Airshow has consistently scaled new heights and established itself as the top event for industry players to tap into emerging opportunities, forge partnerships and seal deals in Asia. The Farnborough International Airshow (FIA) is a global showcase for the aerospace industry and its reputation alone attracts a vast international audience. 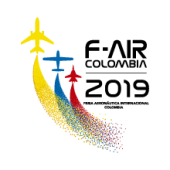 China International Aviation & Aerospace Exhibition (Airshow China) is the only international aerospace trade show approved by the Chinese central government, with support from Chinese aerospace industries. Featuring the display of actual products, trade talks, technological exchange and flying display, the show takes place biennially in Zhuhai, Guangdong, China. The Bahrain International Airshow is the fastest growing airshow in the Middle East and one of the most important events on the global aerospace calendar. Aero India has carved a niche for itself globally as a premier aerospace exhibition, with ten successful editions organized since 1996. Japan Aerospace 2021 is the best opportunity to access the latest activities and technologies in aerospace and defense, as well as to meet with decision makers of companies and government policy makers.